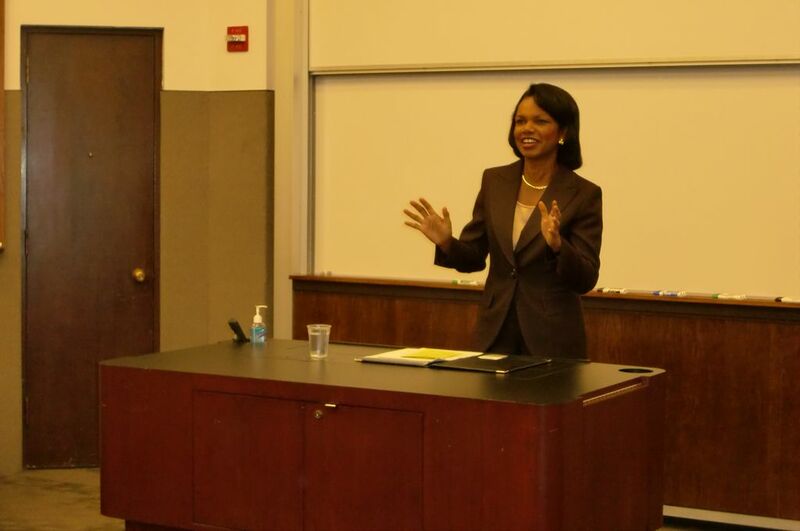 We had a very good first session today (the first day of “condi week”), taught by Prof. Condoleezza Rice. She managed the class discussions expertly and as the class was very focused as well, the comments were spot on. I’m looking forward to Thursday when we have her next. wow, secret service in the class… Even though she does not hold office in current government she still get security?…so, she does not have personal life after high profile government post. Haven’t seen the security since the first day, so maybe she decided we were safe. Very cool that you get to watch Condi in class this week. Hopefully you have a good time. And you should definitely write a follow-up post if you get cold called. Enjoy! Thanks Jeremy. Yeah no cold calls 🙂 . The second session was not that exciting because we did a team based exercise in class which she supervised but we didn’t really get to hear much of what she had to say.. hmm. Hi I would like to express my great respect and appreciation about Rise since I never heard such a unique lecturer ,politician and dedicated for her duty although I am not her student but i want. Aint Nun Interestinq On HERE About Condoleeza Ricee . . .
Yehh She Important But What Info Can Yhu Get From This Websitee . Hello exceptional website! Does running a blog similar to this take a large amount of work? I have virtually no understanding of coding but I was hoping to start my own blog soon.